Agents have a responsibility to do right by their clients in every way possible, but in the complex, lengthy process of buying and selling a home, not everything may be within an agent’s full control. Criminals and con artists still prey on homebuyers and sellers, sometimes in surprising ways. 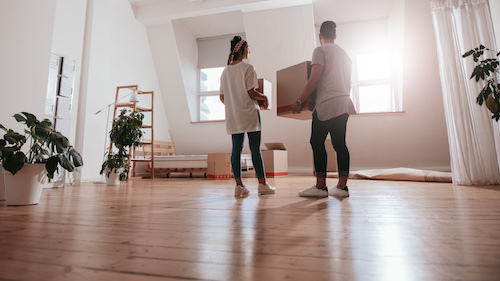 The process of moving out of a home and into a new one presents an opportunity for fraud that can be hard for even seasoned professionals to recognize. Scams perpetrated by moving companies still happen with troubling frequency. One recent rash of moving fraud claims came out of Florida: In one of her last acts as the state’s outgoing attorney general, Pam Bondi announced Dec. 28 that she’d filed federal complaints against 14 moving companies operating in Florida for allegedly defrauding customers. In many cases investigated by the attorney general’s office, these companies lured clients by advertising low rates for moving services, only to suddenly increase their prices substantially after the client’s belongings had been loaded onto the truck. The movers would then hold these items for “ransom” if clients refused to pay the higher fee. This bait-and-switch tactic is not unheard of among law enforcement, and is not limited to Florida. The Federal Motor Carrier Safety Administration received 4,100 consumer fraud complaints against movers in 2017, 9 percent of them falling under this type of “hostage load” situation. In the recent Florida cases, and most likely others around the U.S., many of the victims were senior citizens. The movers don’t agree to an onsite inspection of the home and belongings prior to the move. The company demands a cash deposit before the move date. Customers don’t receive FMCSA-published guides on their rights and responsibilities from their movers in the planning stages of an interstate move. The company can’t provide or does not make available basic information like their office location, state and federal licensing information or proof of insurance coverage. On the day of the move, the client is told they have more belongings than expected, or is suddenly asked to pay additional fees they weren’t expecting. Real estate agents should be sure any movers they refer clients to meet these standards as well. Consumer advocates recommend seeking out quotes from three different movers, and verifying basic information for each, prior to signing any agreement. For more resources on finding qualified movers and spotting moving fraud, check out the FMCSA’s Protect Your Move website.